This entry was posted on October 31, 2016 at 12:23 pm and is filed under Cute Problems, The Universe and Stuff with tags CMB, Cosmic Microwave Background, Cosmic Microwave Background Dipole, Dipole Anisotropy, Planck, Planck Satellite. You can follow any responses to this entry through the RSS 2.0 feed. You can leave a response, or trackback from your own site. It’s definitely not just a dipole. The non-relativistic effect is just the first term in a Taylor expansion in v/c. At high speeds, the other terms become important. At very high speeds, there’d be strong relativistic beaming. The hot spot would shrink down to a smaller angular size (and become much hotter, of course). Even at the actual speed, the second term in the Taylor expansion is not negligible. It leads to a “kinematic quadrupole”, which is smaller than the intrinsic quadrupole, but not by enough to justify neglecting it. 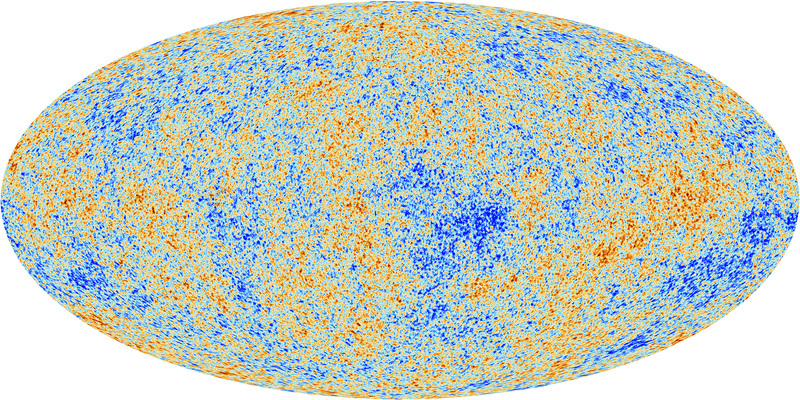 If I’m not mistaken, both WMAP and Planck remove it along with the dipole. Would it be blue shifted in front of you and start to wrap around you? 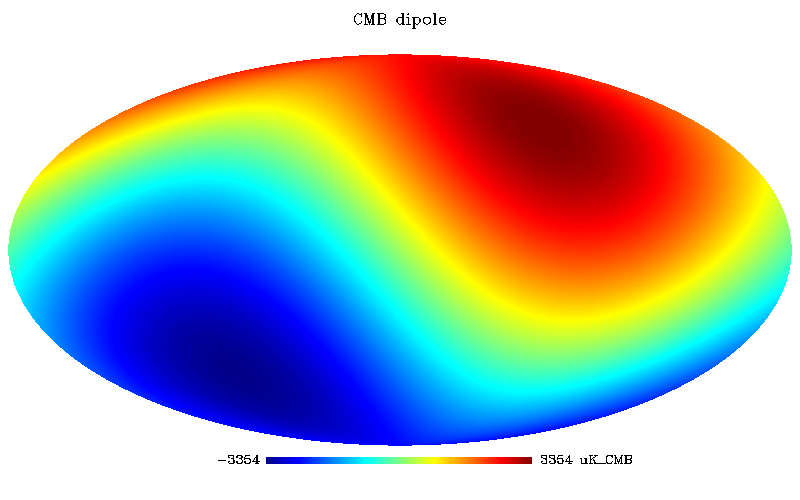 Fun fact: the relativistic boosting of the CMB (and other photon fields, of course, but the CMB is always there anre usually dominant) in this way is directly seen by the relativistic electrons in lobes and jets of radio-loud AGN, leading to the observed inverse-Compton emission in the X-ray and gamma-ray.